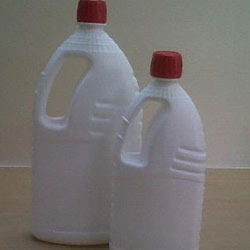 Our product range includes a wide range of Plastic Bottles such as Plastic Bottle S.O. Shape, Plastic Bottle Orkem Shape, Plastic Bottle- Triangular Shape, Plastic Bottle Ak Shape, Plastic Bottle Ciba Shape, Plastic Bottle- Monitor Shape and many more items. 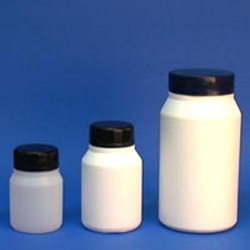 We are engaged in offering an extensive assortment of Plastic Bottle S.O. Shape to our clients. 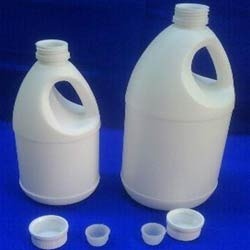 These bottles are made using high quality material and latest technology. Our product range is tested at each level of product development by our quality experts. 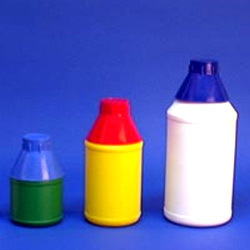 This shape of bottles is available with varied storage capacities such as 30 ml, 50 ml, 100 ml, 250 ml, 500 ml and 1litre. We bring forth an exquisite array of Plastic Bottle Orkem Shape in varied storage capacities 50 gms, 100 gms, 250 gms and 500 gms. 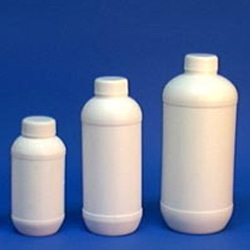 These bottles are widely used for storing various agro-chemicals, such as insecticides and pesticides. 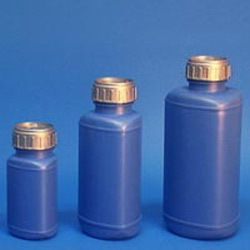 Our clients can avail these bottles packed in superior packaging material, which ensures their safety during transit. 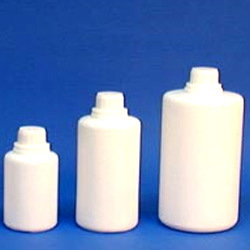 We are engaged in offering a steadfast plethora of Plastic Bottle- Triangular Shape. 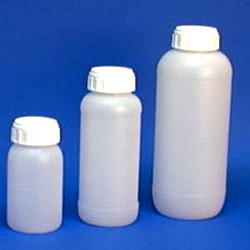 These bottles are highly durable and are available with various storage capacities such as 100 ml, 250 ml, 500 ml and 1 liter. Our range of bottles can also be customized in terms of size, shape and colors as per the specific demands of the clients. We offer to our clients a wide range of Plastic Bottle Ak Shape in several storage capacities, such as 100 ml, 250 ml, 500 ml and 1 litre. These products are highly appreciated for their durability and leak resistance. Our range is available in various colors and also in customized options as per the specific demands of the clients. 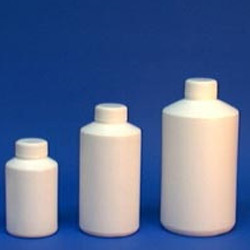 Leveraging on the rich industry experience, we have been able to provide the customers with a comprehensive range of Ciba Shape Plastic Bottle. Manufactured using quality components, the range is strictly in tandem with the international quality standards. Widely appreciated for dimensional accuracy, reliability, performance, leakage-proofing and compact designs, the range is widely used in the following sectors.. Carving a niche for the organization, we are engaged in bringing forth a remarkable assortment of Plastic Bottle- Monitor Shape. The offered range is fabricated in strict accordance with the international quality standards using premium quality plastic, which is sourced from the coherent vendors of the market. Besides, our professionals employ contemporary production techniques during the fabrication process. Owing to our expertise in this domain, we have been able to provide the customers with a commendable assortment of Plastic Bottle Euroneck-Shape. Offered range of Plastic Bottles is fabricated using superior quality plastic, which is procured from the reliable vendors of the market. Moreover, the range is thoroughly tested on varied quality testing parameters to ensure flawlessness and zero-defect. We are a coveted business entity engaged in catering to the diversified requirements of the customers by bringing forth a wide array of Plastic Bottle- Kissan Shape. Fabricated using quality components, the range is widely appreciated by the clients for compact designs, reliability, light-weight, durability and leakage-proofing. From the day of commencement, we are engaged in bringing forth an astounding assortment of Hdpe Upper Handle Bottle With Plug And Cap. Patrons widely admire the range as it is fabricated using superior quality plastic and other genuine components, which are sourced from the reputed vendors of the market. Besides, before dispatch, the entire range is thoroughly tested on varied parameters to ensure durability and authenticity. 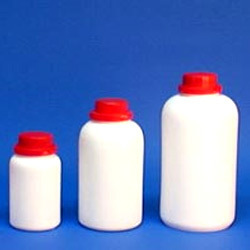 We hold immense expertise in catering to the diversified requirements of the customers by bringing forth a commendable assortment of Hdpe Oval Shape Milky White Bottle. Available in a plethora of sizes and dimensions, the range is fabricated using premium quality HDPE plastic, which is sourced from the certified vendors of the market. Looking for Plastic Bottles ?